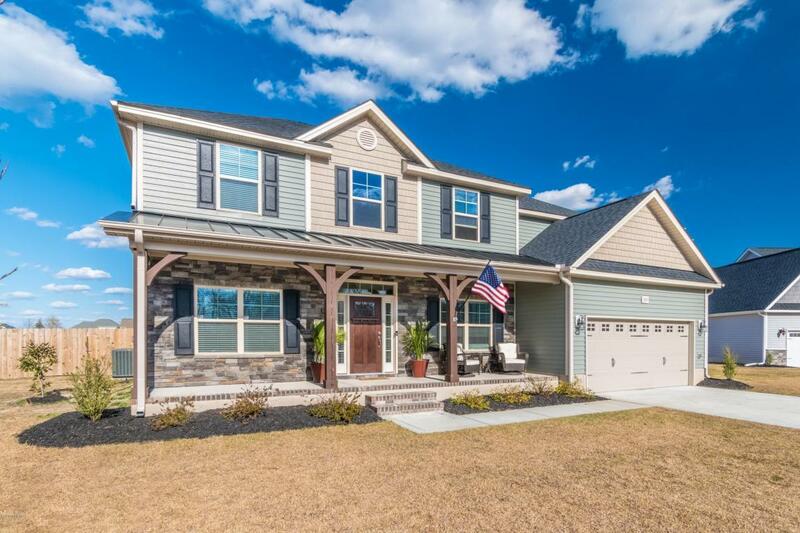 You'll love every inch of this 4-bedroom home, from the rocking chair front porch to a back yard built for enjoying time with family and friends! 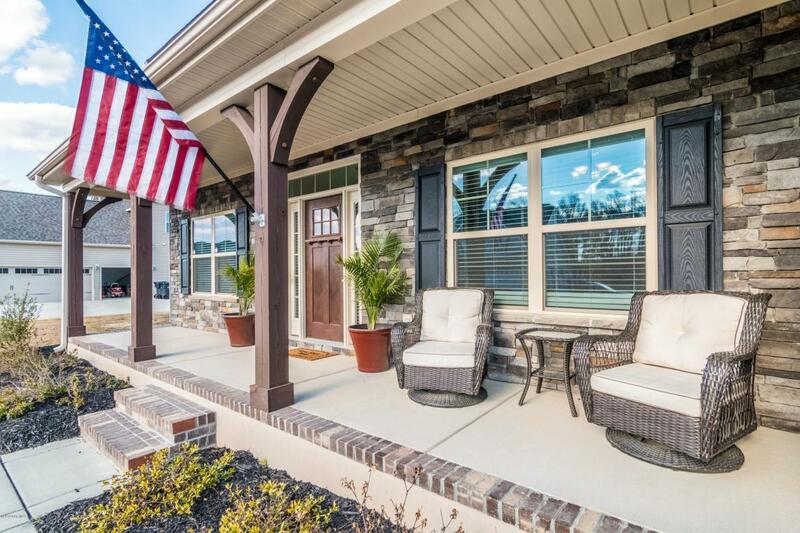 Stunning NEARLY NEW CONSTRUCTION w/ NO CITY TAXES in Wintergreen, Hope, & Conley districts. Wood floors carry warmth through the downstairs living areas, including formal dining w/ coffered ceiling, living room, & den. 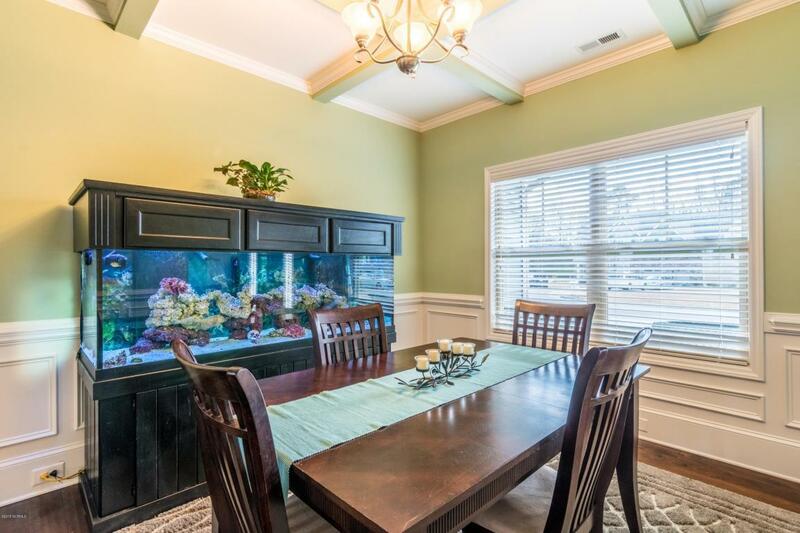 Chef or Entertainer's DREAM EAT-IN KITCHEN w/ endless cabinets, center island, dedicated pantry, & DOUBLE WALL OVENS. Living area wired for surround sound. Expansive master suite boasts trey ceiling, large bathroom w/ separate tub & shower, & generous closet space. Full bath & flex room downstairs make a perfect 5th bedroom, guest suite, or office. HUGED FENCED YARD nestled near the back of the neighborhood, surrounded by privacyfence. Outdoor paradise w/ SCREENED PORCH, paver patio, deck, & POOL. 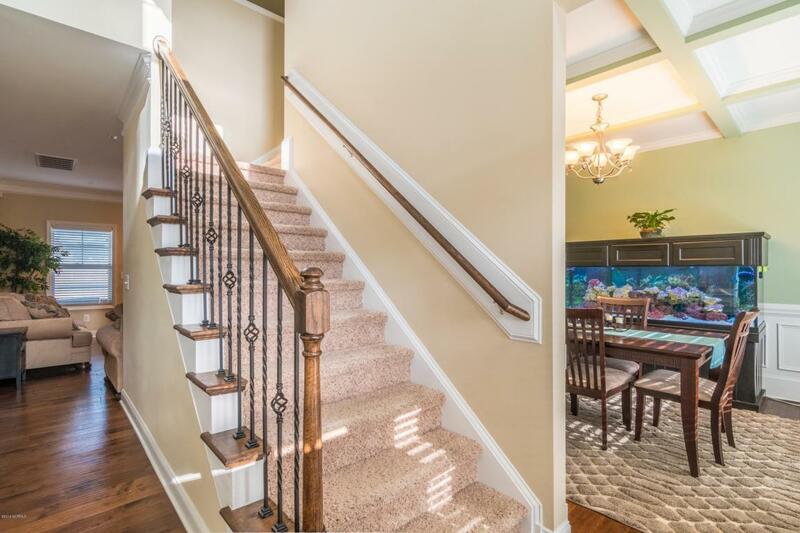 Incredible features & space abound! Listing provided courtesy of Amanda Whited of Coldwell Banker Coastal Rivers Realty.